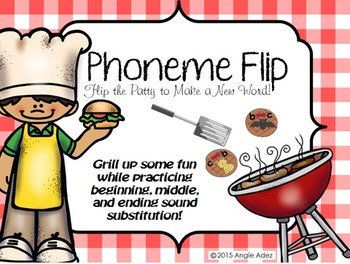 Grill up some fun while practicing phonemic awareness skills! Have children practice “flipping the sound” by guessing the new word and then turning the patty over with a spatula. (I bought some cheap spatulas at the dollar store.) There are twelve patties each for practicing beginning, middle, and ending sound substitution- a total of 36 patties! 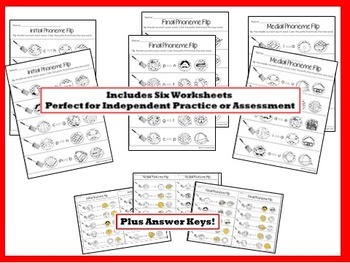 Includes six corresponding worksheet activities. 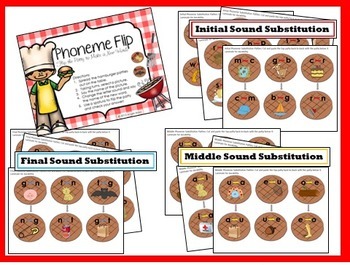 26 pages of FUN with manipulating words and sounds!